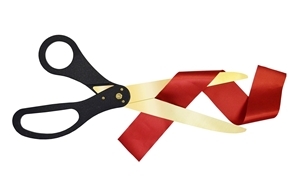 A simple kit to help you get started on your ribbon cutting ceremony, this kit includes an 8 inch pull bow (for easy assembly) available in more than 20 colors, 25 yards of ribbon in either 4 or 6 inch width in more than 21 colors, and stainless steel ribbon cutting scissors (available in 25 or 30 inches) in red, maroon, blue, or black handles with your choice of silver or gold finished blades. 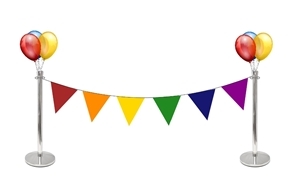 We are an e-commerce company dedicated to serving business organizations and event planners with high quality materials for special ceremonies at budget-friendly prices! 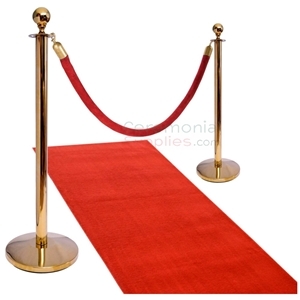 We serve any organization, from large corporations to small businesses, and down to individual event planners in need of ceremonial supplies. 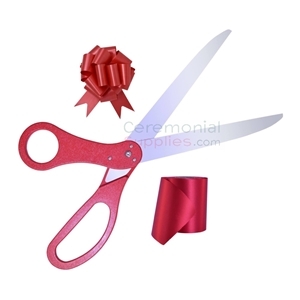 At CeremonialSupplies.com, you will find a variety of specialty products for important events that call for excellence. 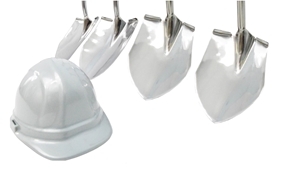 We have product solutions for grand openings, groundbreakings and award ceremonies, in addition to promotional products and corporate gift ideas. 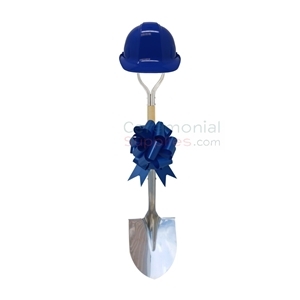 Find ceremonial giant scissors, groundbreaking shovels, trophies, medals and corporate gift baskets among many other items that perfectly complement them. In that same tradition, we also help special event planners obtain all the best products to organize ceremonies like weddings, corporate parties and other special life events that call for quality and aesthetic design. 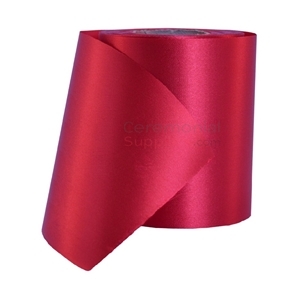 Whether it is wedding favors or theme party decorations, we will supply you with the best products in the industry to help you succeed. When you succeed, we succeed. Our goal as a company is to build strong relationships with our clients. It is in our best interest that your event is a total success as we strive to uphold a standard of quality and professionalism. 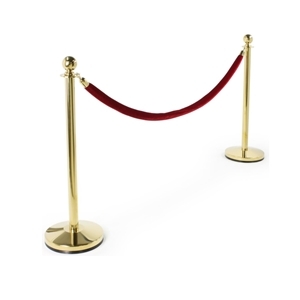 We want to be your go-to supplier for any type of ceremonial product for your business. 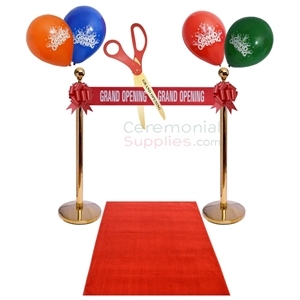 CeremonialSupplies.com is a user-friendly website that allows you to browse, search and checkout safely with the ease of a traditional e-commerce store.  Our site is filled with information that will help you make the most educated purchasing decision for your ceremony. If you need assistance, we will work with you until you are completely satisfied with your product selection. Bulk rates apply to most products, so call us or e-mail us with a specific request and we will be happy to work with you to meet your budget. Prom Is Right Around The Corner In Virginia!